﻿is a Certified Aging-in-Place Specialist. 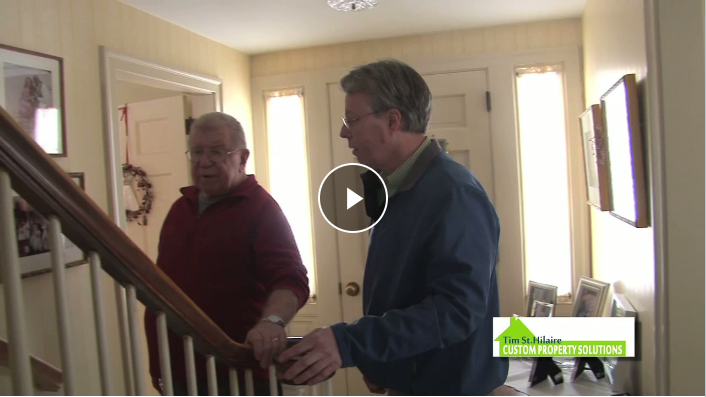 His company, Custom Property Solutions, is a full-service contractor specializing in Universal Design and age-friendly modifications for home safety & accessibility. Since 1993, Custom Property Solutions, LLC has provided solutions oriented projects servicing residential and commercial properties in Southern Maine, Greater Portland and Mid-Coast areas. At the helm of the company is Tim St. Hilaire, known for his personal and professional one-on-one contact with his customers. Good old fashioned customer service is a foundation and staple during each and every project. Tim is certified through the national association NAHB (National Association of Home Builders) as a Certified Aging-in-Place Specialist. He stays current with training through organizations such as the Window and Building Manufacturer’s Conferences and Small Business Forums. Tim starts by getting to know and understand the customer’s needs. Many factors are taken into consideration such as family lifestyle and any long term plans for remaining in the home. Should the customer desire to remain in their home in latter ages, Tim’s certification as an Aging-in-Place Specialist makes him an expert in that field. No matter what the plan is for your property – making it energy efficient or creating a safe environment for aging-in-place, Tim will present a plan providing a comprehensive renovation service. Understanding that your family has needs, Tim will ensure that timelines and budgets are maintained. Tim also speaks on the topic of Aging in Place and home safety. He has three upcoming talks with AARP in March including one on behalf of the National Fire Prevention Association's "Remembering When: A Fire and Fall Prevention Program for Older Adults". He will also participate in the Maine Council on Aging forum on Housing for Seniors on May 30th. He has presented for Maine Medical Partners and others. If your company or association would like to have Tim speak, please call 207.632.5228 or email Tim. 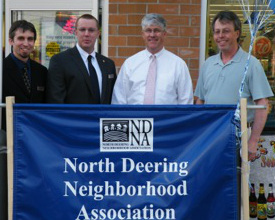 Tim believes in providing his talents to various organizations and associations. He is Past President of North Deering Neighborhood Association, Member of National Association of Home Builders, Member of City of Portland Neighborhood Advisory Committee and Past member of City of Portland Community Police Advisory Committee. Custom Property Solutions has sponsored the Maine Council on Aging's conferences and is helping to organize and conduct 2018's Housing Options for Maine's New Age - A Housing Planning Conference to Help Older Mainers Age at Home. This is an invitation-only conference taking place May 31st, 2018 in Belfast, Maine. Tim is also an active supporter of the Maine Summit on Aging: The Wisdom Summit. 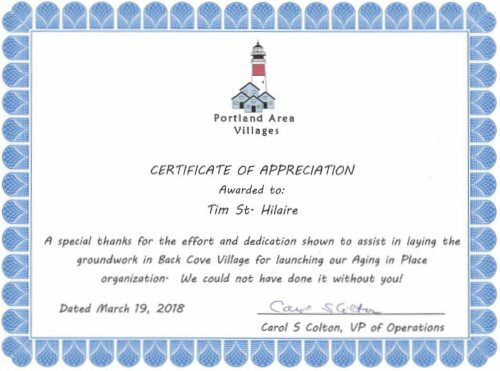 Tim worked with Back Cove Neighborhood Association in Portland, Maine as they collaborated with other neighborhood associations to form the Portland Area Villages network "PAVing the Way for Neighbors to Age in Place". He received a Certificate of Appreciation from that group for his assistance. Tim is helping with the Southern Maine Agency on Aging's Falls Prevention newsletter. 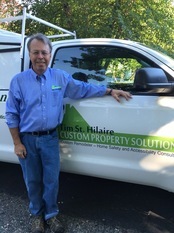 Tim St. Hilaire's Custom Property Solutions regularly contributes to local charities and organizations that are near and dear to his heart including: St. Brigid School, American Heart Association, Creative Work Systems and HART to name a few. Tim lives in Portland, Maine with his wife Victoria and cat Fiji.